OTTAWA: The report by Ontario Waste Management Association (OWMA) has predicted enormous job prospects in Ontario with the implementation of better waste diversion policies by the Government. The report “Rethink Waste” suggests that revision of provincial recycling policies could help create new business opportunities which in turn can open up jobs in the region and help protect its environment. It underlines the significance of a committed relationship between garbage disposal mechanisms and economic growth. The report calls for implementation of radical policies that could boost the rate of Ontario recycling. Even if the recycling jumps to double of what it is now, the recycling industry could witness fresh investments up to $1 billion into the sector which could easily translate to not less than 23,000 direct and indirect jobs. Ontario’s residential recycling rate is much lower than other provinces. When compared to Toronto which has a recycling rate of 40%, the recycling rate of Ontario is only 32%. The overall recycling rate of the province is much lower at 25%. 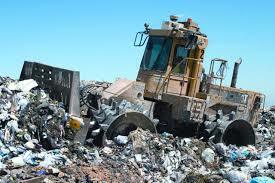 Large quantities of waste are shipped to US every year. The report suggests implementing rules which will force producers not only to produce them, but also to recycle. The implementation of such rules in Europe has helped better recycling of the products. The report also recommends that certain waste such as organics from commercial use be banned from disposal, preventing any cross-border shipment. The report underlines the enormous loss of resources and economic opportunities associated with sending 75% of waste to disposal and offer a path forward. Ontario needs to capitalize on business which has real potential to create economic growth and jobs.